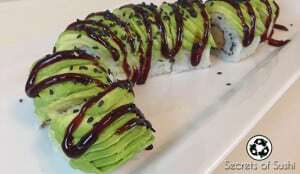 In the early days of sushi, having actual rolls was very rare. 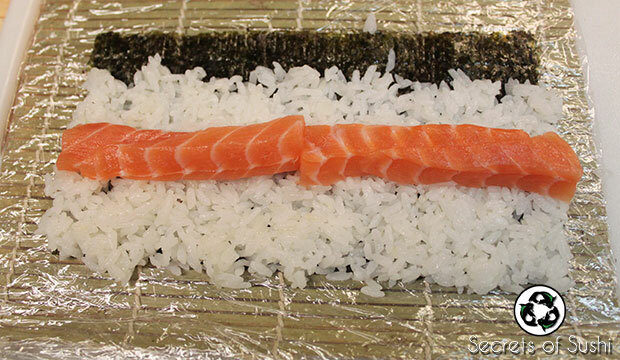 When they did start creating sushi rolls, they were hosomaki. 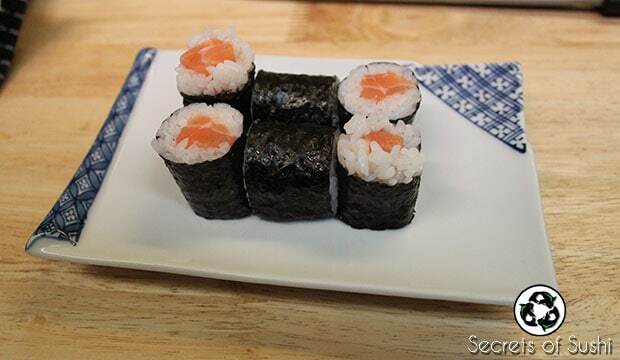 Hosomaki literally translates as “skinny roll” and usually only comes with 1-2 ingredients. 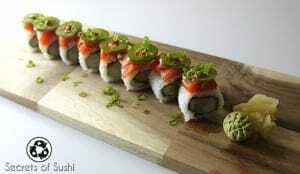 This is considered to be one of the most traditional styles of sushi maki (rolls). 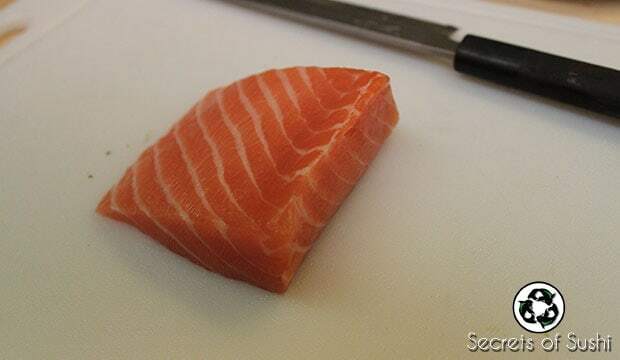 In this post, I will be making a Salmon Roll in the hosomaki style. 1. 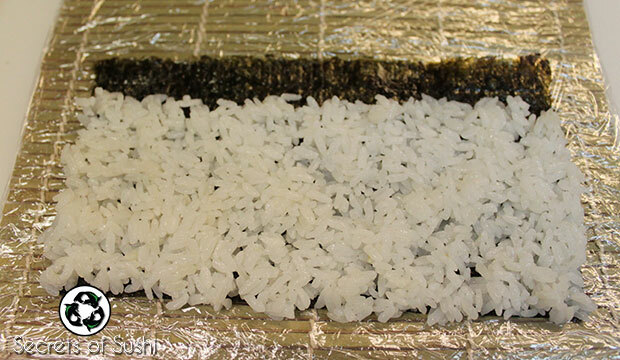 Once your sushi rice is cooked, seasoned, and cooled (more information: How to Make Sushi Rice), place a small handful of rice on the rough side of your nori. Notice how I didn’t put any rice on the top edge? 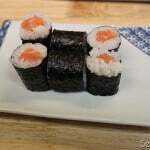 Make sure leave at least 2cm of nori bare at the top of the roll. 5. This is the trickiest part. 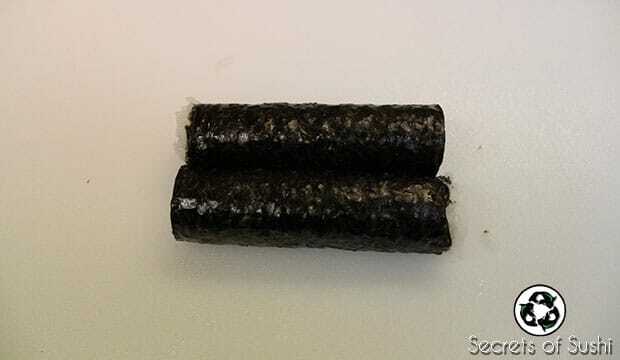 You need to dip your fingers in your water and transfer the water to the top portion of the nori. 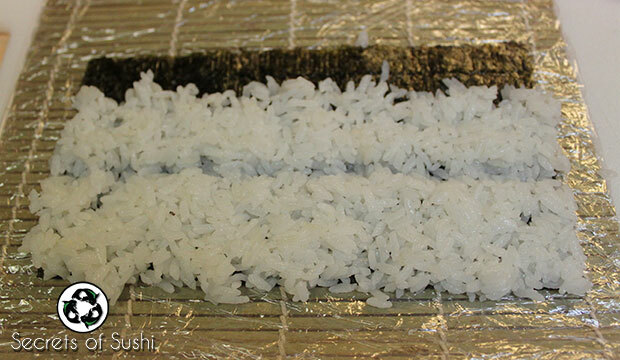 This will make the nori soggy and it will quickly start to curl. 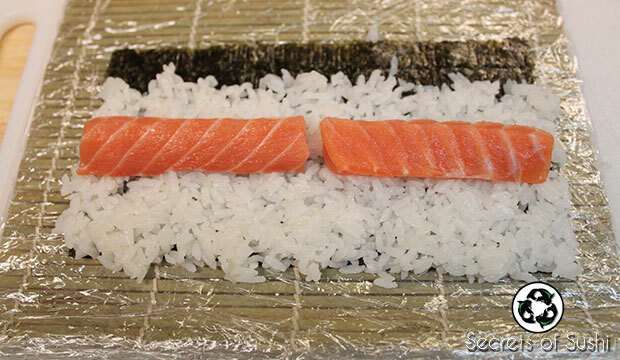 Before the nori starts to curl, you need to roll the salmon roll up until the smooth side of the nori meets the wet portion. 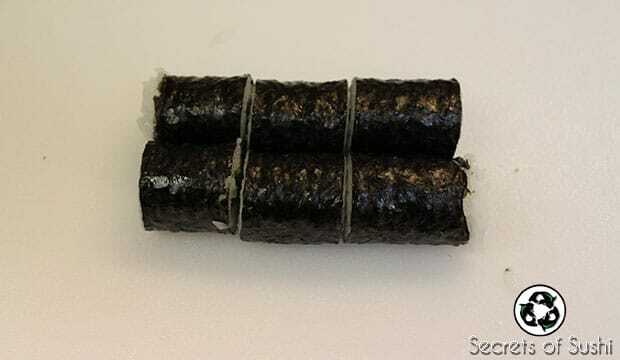 This will make it so that the nori sticks to itself and gives clean looking results. 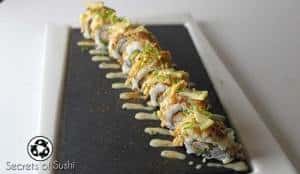 For more info on the technique of rolling sushi, click here. As you can see, I still need to work on my 1/3 slices. 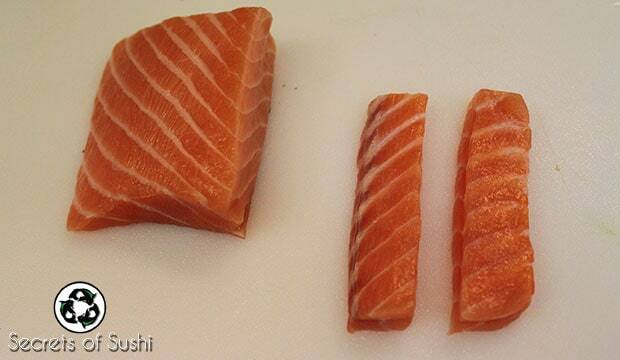 Having spacial recognition and being able to eye 1/2’s and 1/3’s is really beneficial when making sushi at home. Otherwise, you will need to practice a lot to get even looking pieces. **Pro Tip – It helps to get your knife slightly wet before slicing any roll. 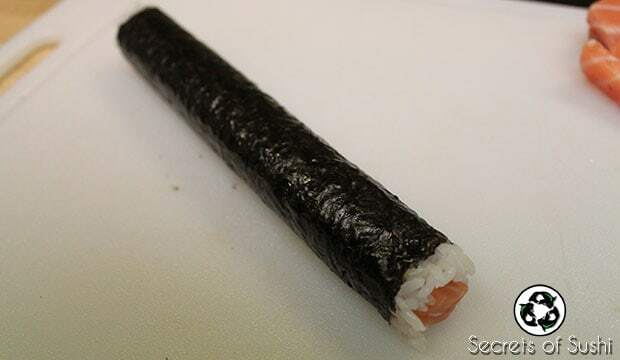 Be careful not to get it too wet, as it could make the nori tear easily. I usually aim for just a few beads of water on my knife. 7. 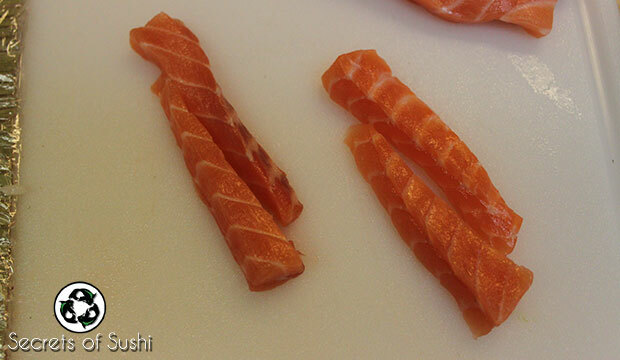 Turn the end pieces up, so that we can see that pretty salmon and then transfer it to a plate. I hope you enjoyed this tutorial! 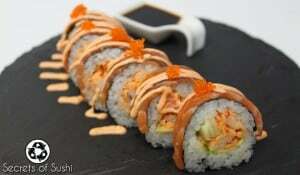 I’d love to hear about your thoughts and see some pictures of your own hosomaki sushi! 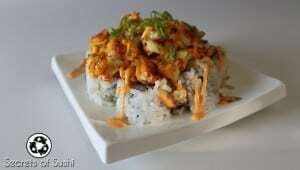 You can post a picture of your sushi in the Disqus Comments box, below. 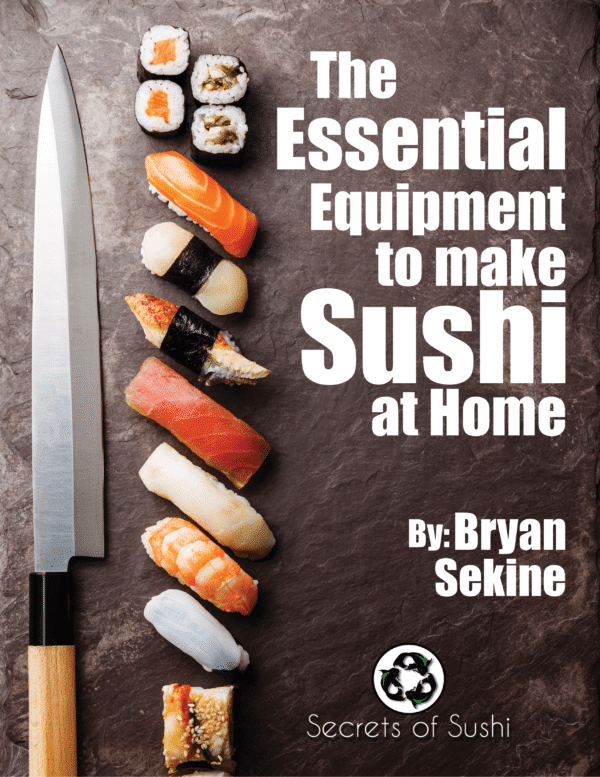 For more awesome sushi tips and secret, mini-tutorials, be sure to grab my free ebook: 13 Ways to Tell if a Sushi Restaurant is Worth Trying!